This entry was posted in Baby Ellie, Deep Thoughts and tagged anxiety, Children, Egg Allergy, Food, Food Allergy, Lucky, Pediatric Cancer by Sarah. Bookmark the permalink. So pleased she is ok! I had the exact same experience and went through the same thought process when Toby spent days in the hospital. I would watch as parents wheeled their sick children out of the building in little red wagons, the kiddos lay inside in a fetal position, exhausted from treatment. A bag of medicine still hung above their head. As if the fun red wagon was going to take away the pain… It literally broke my heart and made me feel so lucky – so very beyond lucky – that Toby’s lump turned out to be a bad infection and that we would be leaving the hospital with a healthy baby in the next couple days. we really are so very lucky, aren’t we. I am happy to hear from you and to know that your little one year old (!) is doing so well. And, who really needs eggs, anyway!?!? I’m happy she’s okay, cancer is terrifying. 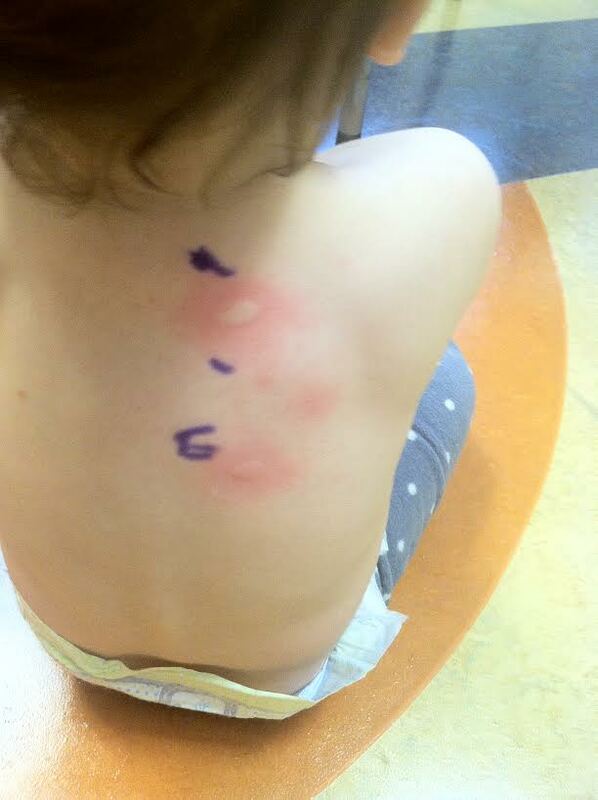 The bad thing about the egg allergy is that I think it may limit what immunizations is safe for her to get. Sorry to hear about the allergy–that sounds like a pain to deal with. But as you say, there are many worse things that parents have to deal with. The fertility clinic we went to was in the same building as an oncology clinic. Even during the most painful parts of our fertility journey, seeing women my age with no hair due to chemo certainly put things in perspective.